Earlier in the year PwC announced that applications to all student programmes reached a record high of 41,000. Being a large and prestigious employer may be an advantage in attracting candidates at all levels but there are also a number of ways in which a smaller management consultancy firm can attract the best talent. What can you do to maximise success? What would make you want to work for a particular company? Indeed YOUR particular company! Carefully think about the role: what can you do to make it even more interesting? This might involve thinking about all aspects of “the package”. Few people will entertain a pay cut, but can you offer any other benefits? A smaller company may be able to tailor a job to deal with employees’ individual needs, for example to allow a degree of home working. Smaller management consultancy firms may be able to offer a better work life balance than larger more bureaucratic corporates and will make prospective employees feel valued. Consider a different background or experience. Your ideal job seeker may be someone who is attracted by a new challenge and a learning curve, not someone who is looking to replicate their current job in a different company. Candidates who come via referrals usually have a more accurate picture of the company than those who come in through ads, and in most cases employees and contacts recommend only people they think will be a good match. They have access to a large database of potential candidates and can be an excellent ambassador for your brand with candidates who might otherwise never consider contacting you or responding to your advertisements. The perfect candidate may not exist so don’t dismiss the first applicant with a 9 out of 10 profile. They may be excellent in the role and better than any of the ‘7 out of 10’ candidates who come along later. Even if ultimately they are not suitable for this job the candidate’s experience should be positive. Smaller management consultancy firms can excel here as they can avoid the “sausage factory” approach that larger corporates tend to adopt. An applicant may not be suitable for this job, but perfect for the position you will be advertising a year hence. 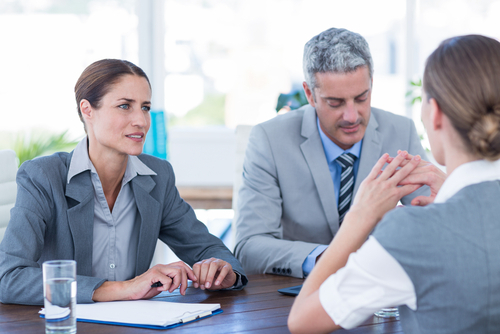 Interviewees compare experiences and it is important that an unsuccessful candidate feels that the overall experience was worthwhile, efficient and treated them with respect.